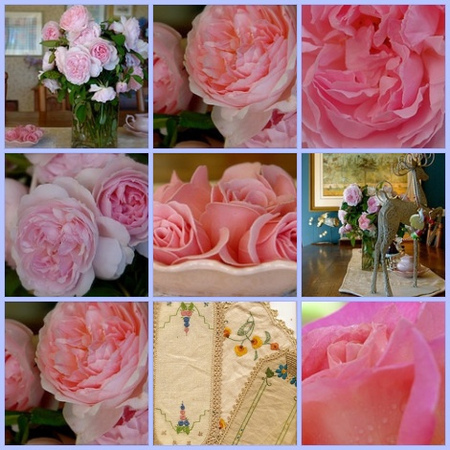 Love the shades of pink in the different pictures of the flowers..
Do you have a gallery of the quilts you have made somewhere? Would love to see the one your quilting in the picture of you at the machine! Beautiful. What a joy to have them from your son. Previous PostJust a short chat and a tour of my studio.